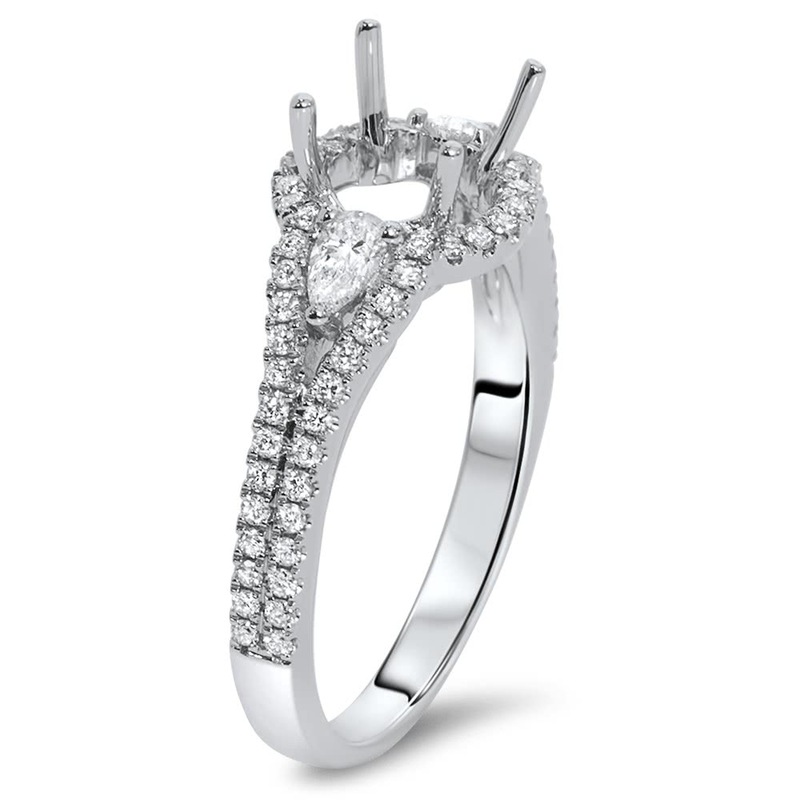 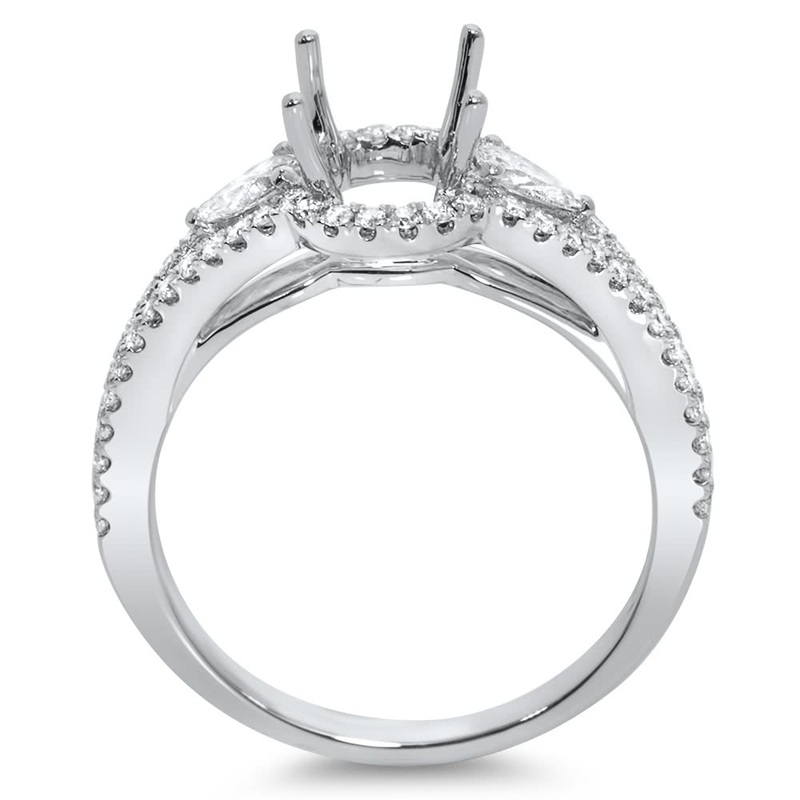 18k white gold engagement ring has a split shank with micro pave side stones. Inside the split are 2 pear shape diamonds. 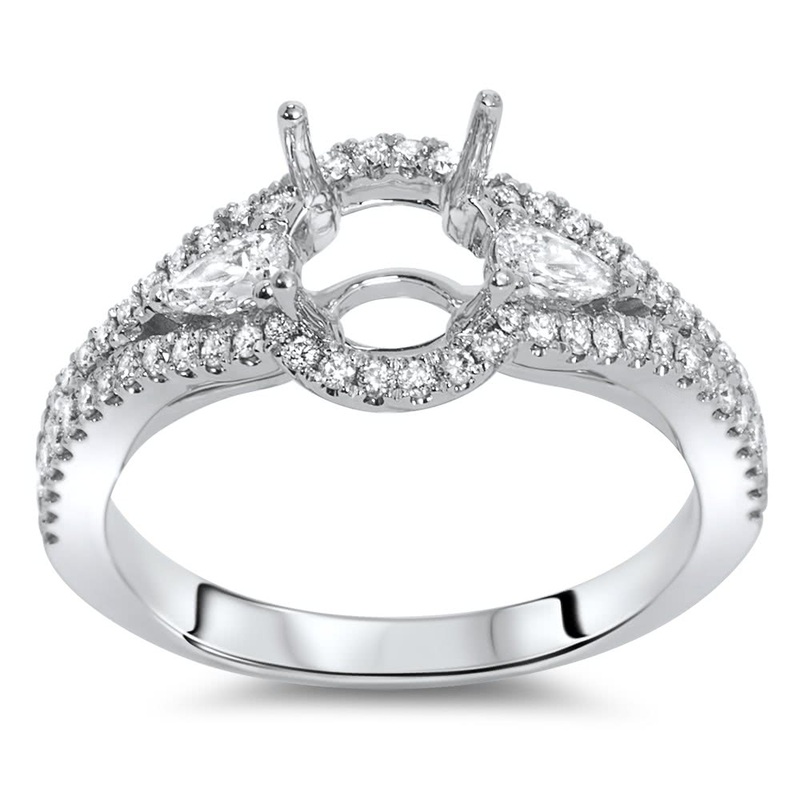 The micro pave halo will hold round cut diamond.